MAXIM® Canyon Elite is the high-end rope for extreme canyoneering tours. It features a dry treated nylon core with a cover of polyester blended with revolutionary materials Technora® or Dyneema®. Canyoneering presents one of the most extreme conditions that a rope can be put through. Ropes that do not absorb water are a lot easier to handle and last longer. To strive for this level of performance, MAXIM offers the higher end Canyon Elite. This rope is available in two versions. One features a blended Technora® and polyester cover over a dry treated nylon core. The Technora® fiber adds an extreme level of abrasion resistance and therefore makes the rope perfect for the most demanding canyoneering. 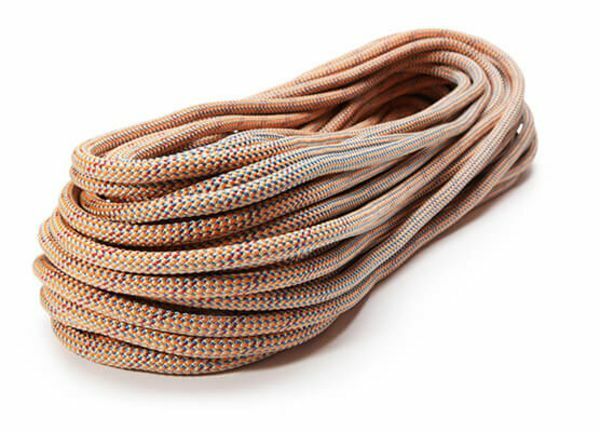 The other version consists of a nylon core with a Dyneema®/polyester cover. With Canyon Elite there is no limit to your canyoneering experience!